Want to spend your summer making pie?! Come for our summer apprenticeship. .This little pie business is a small scale, hands-on operation located in the San Juan Islands off the Washington coast. I strive to use all organic ingredients and as many local ingredients as I can find .... meaning we are picking a heck of a lot of fruit in the summertime, as well as hitting up farmstands, and using what we've got growing in the garden. I view baking as a beautiful culmination of spirit, science, and art - it's a meditation, on most days. For the 2018 summer season we are growing just a bit more and hoping to do two Saturday markets on our home island Lopez Island, as well as the market on San Juan Island. We will be prepping and baking for those markets from Wednesday until Friday. e) really any one is passionate about baking. Through the sometimes beautiful and sometime messy art of trial and error I can share what I've learned over these couple years, as well as the baking knowledge I've accumulated over the 15+ years of studying & working in bakeries. With all this said, baking is hard, repetitive work - with occasional late nights. The best applicants will be excited to work hard, play hard, and really like chopping fruit. I generally make pies and hand pies exclusively in the summer - with the occasional greek pies, pizza pies, any other baking whims (doughnuts?!). There will also be plenty of room for experimentation and the ideal applicant will be hardworking, creative, and genuinely excited about baking, making pie, and trying new things. We can set aside a day to learn, experiment, and focus on things you'd like to learn. Looking for an apprentice from May 18 to September 16th with a bit of wiggle room on either side. + there is potential work opportunity out of the inn we will we be baking out of if you need additional hours. + I'll be teaching a few classes this summer so it would be sweet to have an assistant during those as well! And I'm so excited to hear from you!! Following the election in 2016 I looked around and wondered what I could possibly do amidst the collective Waking Up. As this coincided with our funky gallery/barn living space transitioning to my own bakery & studio I was faced with an empty bedroom and bathroom. It felt silly to let this fertile ground sit idle and slowly the vision, greatly inspired by Hedgebrook and the Have Company residency, of creating a space to host artists, activists, and sensitive people of all stripes emerged. In February the Woodland Keep artist residency was born. For one year we hosted people from all over the country. We met people processing the political, spiritual, and emotional climate in all kinds of ways and each person held the space in dramatically unique forms. 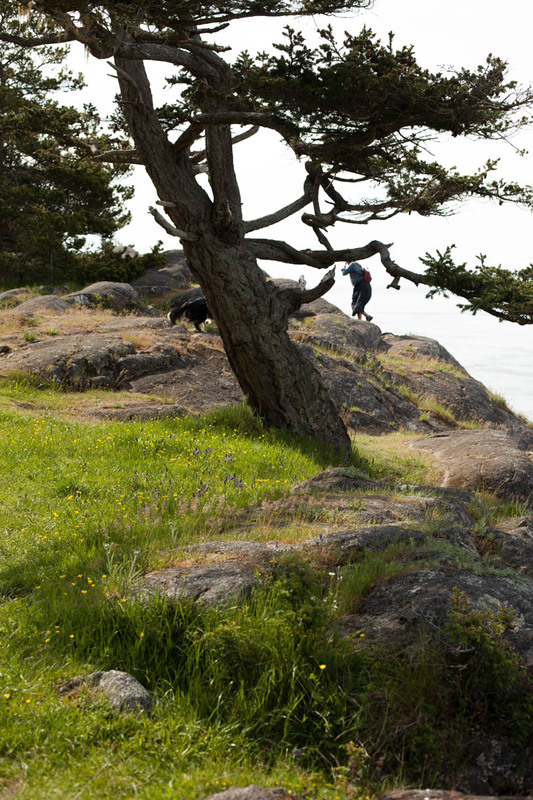 Some ambitiously accomplished every hike on the island, another created a zine about Anger, a series of oil paintings, another managed to meet so many in the community while delving into floral pigment making, some hunkered down and worked on their books, and another investigated every mushroom they could find on island. Knowing that personally, creativity comes in wide open, unrestricted spaces, I left the opportunity for workshops, learning, or sharing, but ultimately the space was theirs, with resources and help given for whatever they needed. There was a zine library, a residency alter, a journal of everyone's experience. Everyone left something special behind that made the space fuller, and while the residency is on hold for now - each offering is locked in a small trunk for when this project has a permanent space to be brought back to life again. I'm so grateful to everyone I met and for what was left behind and now I'd like to share some of that all with you. In the face of political instability, social injustice, and climate catastrophe, cultivating resilience within ourselves, our communities, and our ecosystems is critical. As important as our grief is to honoring the heaviness surrounding us, our willingness to rise up—to continue to seed beauty and grow food and give love and find abundance–is necessary. It's the gift that we give to our wild and wondrous world. Resilience is a perpetual practice. Here are a few everyday actions that have helped me build my resilience. I hope they can be of help to you, too! 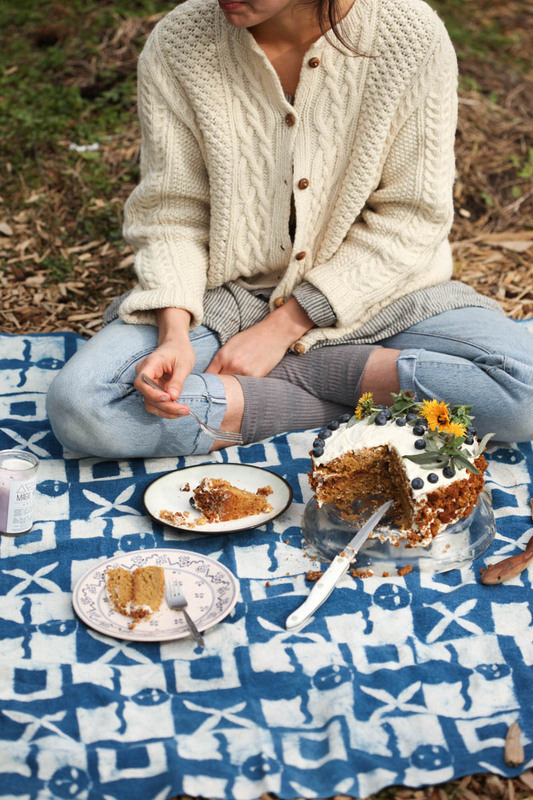 Cultivating Rituals for Resilience: Integrating ceremony, ritual, and celebration into our lives helps fine tune our capacity to notice and to cultivate abundance, and in turn, to nurture our capacity for resilience. Every morning, I draw a Tarot card to help set my intention for the day. I wake up early before work to give myself a sweet, tender hour (free from tech!) to stretch, moisturize with nourishing body oils, journal, and give thanks. Doing these rituals everyday—especially on those days when it's freaking hard—has helped me learn how to thrive in the face of uncertainty and instability. Find a ritual for resilience that will make you feel beautiful in your body, present to our world, and grateful for our planet that you can bring to life everyday. Seeking Discomfort: Part of growing our capacity to be resilient is learning how to weather discomfort. Being present to pain helps us recognize that our grief, our discomfort, and our fear isn't static. Seeking out and sitting with discomfort—like taking a naked polar plunge on a winter morning or being alive to a hard conversation—shows us that we can move from suffering to joy. We are truly wired to be resilient. Embracing Multiplicity: We can mourn the devastation in our world and we can continue to find joy in staring at the stars. We don't have to choose to suffer all the time. For me, embracing multiple ways of perceiving, living in, and healing our world means honoring that we can feel a whole lotta things at once and that's okay. Grow Something: Plant a tree, seed an herb garden, grow love, give love. Our resilience is rooted in our ability to nurture someone(s) and somethings even when there is no guarantee of what will come. 5 word memoir – Go! Happy to be here, man! What does it mean to you to be a writer & artist? I’m still figuring it out! For me, however, growing into my role as a creative is about showing compassion for my process, striving to live a beautiful life, and being present to my becoming. I don’t always write or draw everyday but I do try to make one beautiful thing— even if it’s as simple as a batch of golden granola or as small as a fallen leaf mandala on the sidewalk—that nourishes my need to create. And I deeply believe in the power of collaboration. Writing is very solitary work so I love teaching workshops and making art with my beloved friends. Co-creation is a real gift. What did you intend to create during your WK residency? During my residency, I worked on a book that interweaves the personal, the political, and the poetic to explore coming of age during the climate crisis. It was a really painful and really healing book to work on and I’m so grateful for the residency for creating a welcoming space to be with that pain and wonder and hope. What is one unknown fact about you? Can’t think of anything! For better or worse, I’m an open book. What are struggles or challenges you face in your work and how do you manage them? When I am in the flow, writing is this totally soul-lifting experience. But sitting alone with my laptop or notebook for hours on end is very isolating. Significant screen time drains me and given how much I thrive on collaboration, it can be difficult to be by myself, typing and tinkering, for very long. So I really strive to fill my day with opportunities to interact and co- create. I write early in the morning when it’s really juicy for me have those soft hours all to myself to make, and then I get to work with friends, dreaming and scheming and teaching together. What is your favorite thing about your work and do you have any visions for the future? I love how writing guides me from fear to hope. I love when something I wrote to help me helps somebody else find the words for their own struggles and dreams. I love when I’m teaching a workshop and I feel in community with the class and full of hope for the future. Moving forward, I want to continue to write—that’s my heart—but I also want to teach more than I do now. Teaching is truly embodied work and I want to better be in my body when I make and co-create. I’m very lucky that my window looks out onto our big backyard. Our neighbors are permaculture teachers and we share a beautiful stretch of grass. From my blanketed bed I can see a compost pile, a tangle of squash, and a painted shed where my neighbor’s cat loves to curl up in the bright Colorado sun. Who (human, plant, animal etc.) inspires you? I am deeply inspired by my friends. I have so many amazing sisters in my life who are wildly creative and wonderfully silly. I love to watch my friends at work and am perpetually transformed by their passion for their pursuits—be it as dancers, environmental stewards, scientists, writers, teachers, or healers. I am also inspired by my plants! I love tending to my plant babies and learning from them as they grow. My snake plant has taught me so much about resiliency, my bodacious heartleaf philodendron about beauty, and my lemon balm about love. What advice would you give to an aspiring creative/artist/activist? Read “Big Magic” by Liz Gilbert; “Braiding Sweetgrass” by Robin Wall Kimmerer; and “Emergent Strategy” by Adrienne Maree Brown. These three books speak so beautifully to activism, art, and creative living. From “Big Magic” I learned to not make my art my sole pursuit. From “Braiding Sweetgrass”—my very favorite read—I learned how to be in joyous love with this world. And from “Emergent Strategy” I learned how to cultivate activist practices rooted in pleasure. That’s so important. For your work as an artist and as an activist to be sustainable, it has to set your soul on fire. I have also discovered several rituals for regeneration in my life that have deepened my work as an activist and strengthened my creative passion. Collaborating with others is a big one but so is taking walks in my neighborhood where I wander for hours with my notebook and old Polaroid camera, searching to archive beauty right where I am. Being disciplined about living a beautiful life—by searching for, celebrating, and sharing beauty with others—helps you feed your creative fire even on the days when you are working thru writers’ block or struggling to make. Is there anything you would like to share – recipe, ritual, meditation, spell, prayer, poem....... ? My friend Kailea Frederick of Earth Is ‘Ohana, shared her beautiful planted prayers during her Artist-in-Residency for Loam and it’s a ritual that has really transformed my own life. Check out her prayers for Loam—I hope it will provide you with a blueprint for offering your own prayers to the world. 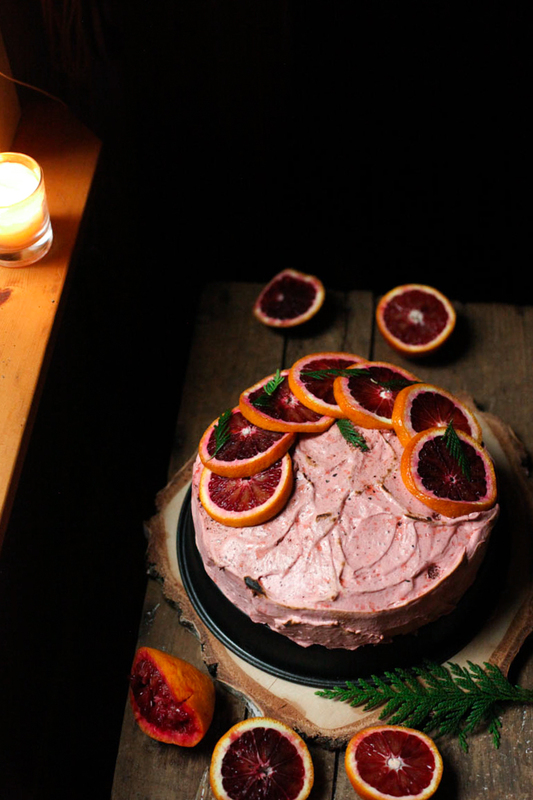 I made this cake for the blood moon just 2 weeks ago, blood oranges and a blood moon seem like a synchronistic pair and I kind of love the idea of celebrating and gathering around lunar events. Shortly after making this cake and I set out for a week with my dad. The eclipse has been stirring up all kinds of unresolved issues for everyone, and like some big messy boiled over brew, we're all healing through them together. No one is exempt and the messes intermingle, and personally, in my world, the healing has felt like some kind of inexorable march. Incredibly slow and kind of endless. Breathing through it helps, healthy daily practices help, and the some-kind-of-solace that at the end of all this we should feel like freshly born lambs, helps. Just tomorrow there will be another eclipse, a new moon eclipse. Oddly, engaging with the moon and planets is incredibly grounding for me. It reminds me that we are small specks of dusts in a huge universe, that we are all moving in a rotation around the sun, and that a moon is moving in a rotation around us. The ancient practice of drawing pictures in the stars, creating meaning and story, divining forecasts from the interaction of creatures and planets in the sky -- this helps to keep the magic alive in my life. When things feel out of control, there is something incredibly healing about surrendering it over to the vast mystery that is being alive, and receiving answers back. And to me this doesn't even really mean you have to believe it is true. In what has become a skeptical, scientific culture -- the idea of astrology and intuition is fairly farfetched. A pseudo-science at best. However, for me, a spiritual practice is a place beyond data and objective reasoning, it is beyond mental conjectures -- it is what feels best in my body, it is a place beyond words, it is what makes me come alive. To believe in magic, to believe in the presence of a higher power, of a sacred life, of meaning and life beyond, and in, the material -- this is what feels right, deep in my bones. It may not make "sense", or currently have much scientific evidence, but our bodies are older than objective study, and I like to think they come hardwired with a certain wisdom, wisdom that has kept us alive for millenia. So, this is partially what ignites me and keeps me going. If we want to save our own lives, the power of what we believe is so important. This doesn't mean to be delusional, but it means to take time to tap into an inner knowing, the deepest knowing, and use that to propel you forward. If you haven't already figured it out yet, baking is another healing act for me. I find a great amount of medicine in the act of movement and creation. Oftentimes when I sit and lay around, issues will sometimes fester and mutate. However in the act of walking, moving, creating - I feel issues unravel, they find breath, a fresh perspective, or they mutate into the magic of creation. I find somewhere in the arcs and falls of making something, the answers slowly emerge, and by the end I see whatever was bothering me, things I didn't even know were bothering me, with a more whole perspective. Therapy exists in so many forms, it turns out. And with that, Blood Orange Cake. This is a fairly simple - one layer cake, covered in meringue icing. The cake is vegan and the meringue has eggs. I love the taste of spelt in pastries and sweets -- there's something delicate and soft about spelt, and I love the dense crumb that accompanies it. I added black sesame for an additional nut butter tahini taste, and then blood oranges in the icing for some winter brightness. 1. Oil 9" cake pan and dust with flour. In a large bowl sift together flour, baking powder, and salt. Mix in ground black sesame seeds. 2. In a medium mixing bowl whisk together oil, zest, honey, vanilla, and milk until completely combined and smooth. Stir the wet ingredients into the dry until smooth. The batter should be smooth, but not runny, don't overmix! 3. Scrape batter into the prepared pan and bake in the center of the oven for 40 minutes or until a toothpick comes out clean. Cool for 10 minutes before removing from pan. While the cake is baking prepare your meringue. Pour egg whites, sugar, and blood orange juice into small heatproof bowl, preferably stainless steel. Put the bowl over a saucepan filled halfway with simmering water. The simmering water should not touch the bowl and the bowl should be held comfortably by the saucepan. Whisk the mixture consistently until it reaches about 140-150 degrees fahrenheit. If you don't have a sugar thermometer, check to see if the sugar has melted. If the mixture is hot to the touch and their are no visible sugar granules you're ready. Remove from the heat and transfer to a kitchen aid mixer or beat with handheld mixer fitted with whisk attachment. Beat until meringue is fluffy and firm. Pour in grenadines and orange zest and whisk a bit longer. Cover your cake with the meringue icing and garnish with blood orange slices, in a moon shape if you're into that. And enjoy! Something shifted around the beginning of the new year and it seems like everyone has come alive. Suddenly all of the projects, hopes, and dreams that were gathering dust seem possible and even exciting. I'm feeling it too. I'm blaming a lot of that on the strong palpable feelings of the moon building towards a blue moon eclipse, amidst other things, but I’ll likely wax endlessly on that soon.. It seems moments of brightness often follow dark times and I know personally, in the summer & autumn I hit some of the darkest depressions I've seen in a long while. Just last month I had a wake up call in the form of a panic attack, the first since grade school, and the next day, upon waking, I took a shower, put on my boots and set outside with no destination. I walked and walked and walked and with each step the knots started coming loose -- each exhale carried a worry that was cast off on the sea breeze, and I gradually I began to feel clear again. I walked with purpose, and intention, but no expectations -- the words of Mary Oliver "determined to save the only life she could" repeating in my mind. I looked at all that had been stewing underneath, and found the truth buried underneath each worry. As each truth was unearthed I felt a freedom -- solutions and renewed intention accompanied each revelation. To the peninsula and back I went, over four hours of walking, and by the time I reached our doorstep again I felt almost new born. It is is no secret that taking a long walk is good for you, but this act gave me a whole new respect for the practice. We take walks with our dog all the time, but this time, going alone, completely alive and raw, inhaling, exhaling, and deeply human -- this led me to see see it as a potent, deep, and completely free medicine. And also all of this is to say I'm feeling a shift in myself. Amidst the sadness and chaos of 2017, there was a larger transformation happening underneath the surface, collectively and just in our little world, and hopefully I can share more of the pearls from that muck with you this year. A lot happened above the surface as well. When I look back at 2017 without the muddy goggles, I'm kind of amazed at all we did. I hosted a residency program for 2 seasons, we went to France, I moved out of the little home studio bakery into a real commercial kitchen in the village (!? ), we moved into a truly small cabin tucked back in the woods, we began actually wedding planning - oy! I will be looking for an apprentice again this year, it will look different, and start sooner. I will do a separate post on that soon so thank you for your patience and stay tuned! With the big move into a real-deal official, commercial kitchen I had to let go of our old studio, which means the residency program is on hold until we have a more permanent space to house it. It was rewarding and wild and beautiful and I can't wait to share more. I've collected interviews with many of the year's residents and will be posting those in the weeks to come! I'm slowly venturing into the intimidating world of teaching. I've been teaching kids baking classes on island for the last few summers, but this year I'll be testing the waters of teaching adult classes. My friend Sophie said adults are just like kids who like their hand-outs, so I've been using that to soothe my nerves! I have two pie making workshops scheduled at Hold General in the spring and I would love to see you there ^_^. J and I will be launching an exciting project we've been slowly working on for 2 years in April -- stay tuned and wish us luck as we pull these final pieces together! And mostly, finally, shortbread. With the cocktail of discovering that J can't eat dairy and receiving a fancy Vitamix for Christmas - we've been experimenting more with alternative flours and dairy free recipes. It is truly amazing what you can do with plants and although these don't have that buttery taste that is signature of shortbread, I still find them to be just as tasty - and only 8-9 ingredients if you don't add the glaze! They were the hit of my new recipe testers -- also known as Thursday's yoga class, so I'd say try ‘em and let me know what you think! 1. Cream together coconut oil, brown sugar, and banana in the bowl of a stand mixer fitted with paddle attachment, or with hand mixer on low-medium. 2. Add in maple syrup, sea salt, and vanilla. Mix until well-blended. 3. Add in the almond flour and cardamom and blend. 4. Mix in the pistachios. Preheat your oven to 350 degrees Fahrenheit. 5. Take dough out of mixing bowl and transfer to a floured surface. Toss with more flour and pat and roll dough into a thin log about 2-3" in diameter. 6. Transfer log to a long piece of parchment or aluminum foil, wrap tightly, and place in freezer to harden for 15-20 minutes. 7. Take out of freezer and cut log into 3/4" inch cookies. Place onto an ungreased baking sheet and bake for 20 minutes or until a light golden brown. 8. In the meantime, if you'd like you can make a simple glaze by combining glaze ingredients in a small bowl and mixing with a fork until smooth. 9. Take cookies out of oven and let cool. Drizzle glaze over top and sprinkle with rose petals.